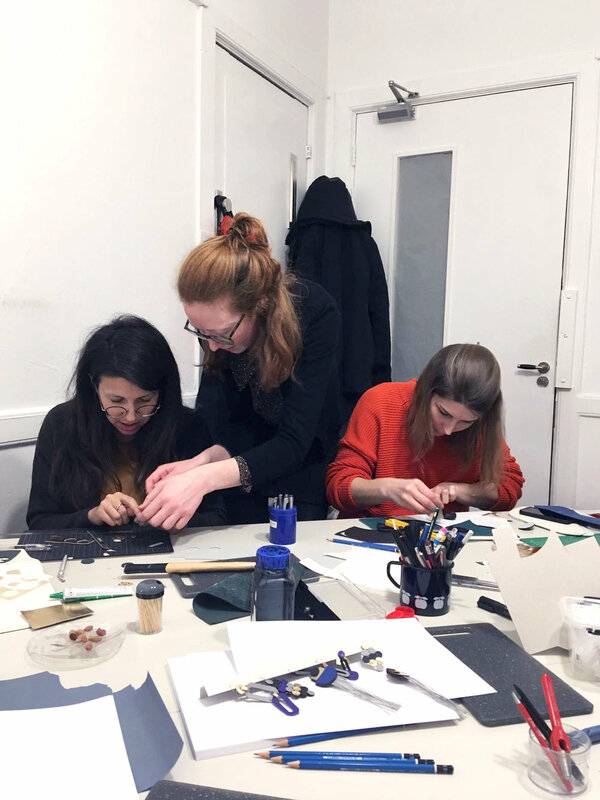 Would you like to learn about leather and make your own designer leather jewellery piece, with the collection and concept of the label as a starting point? 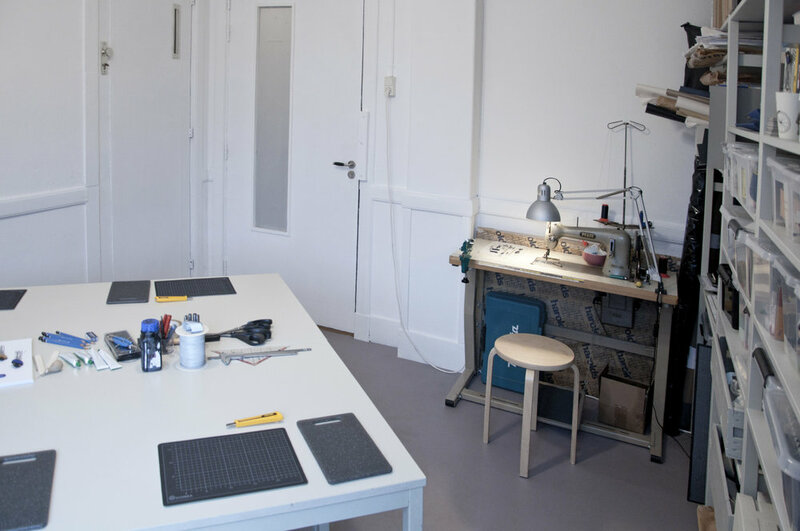 It is now possible to attend a workshop at the studio of the cyclist in Rotterdam and discover what it is like to work with leather and have a look behind the scenes! We will start with an introduction about leather and its basic techniques, followed by the actual designing and making of your very own jewellery piece. Read all about the workshop in the detailed description here below. Would you like to book a workshop? Fantastic! Scroll down to the bottom of this page to book your workshop. 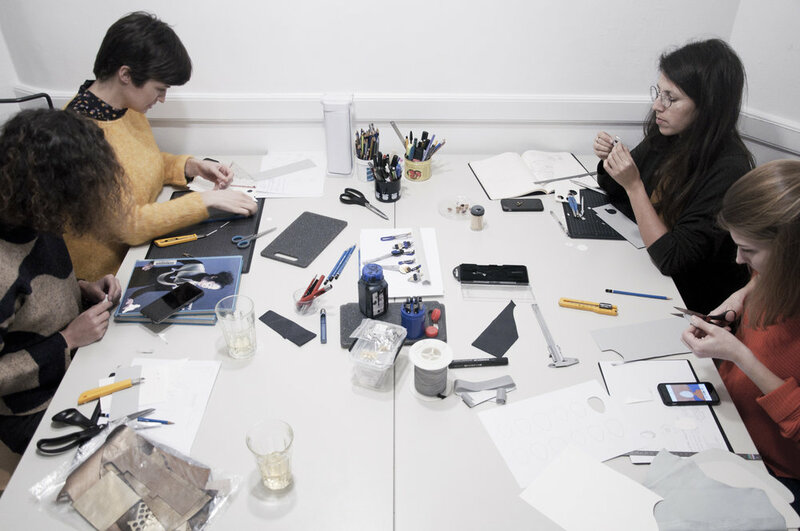 During this workshop you will have the possibility to design and produce your very own fully custom made accessory, with the label's collection and concept as the starting point. 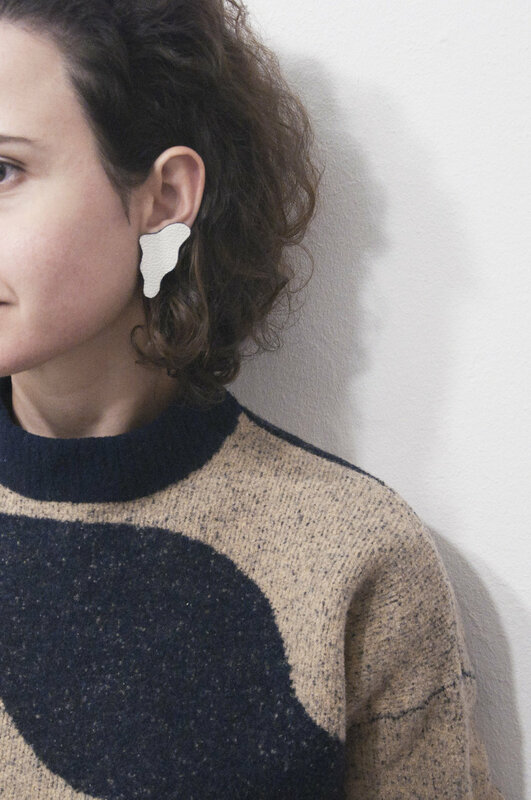 You will make your own pair of earrings or brooche or necklace pendant out of leather and retro reflective material. We will start with an introduction about the materials, production techniques related to leather and the story behind the label The Cyclist. 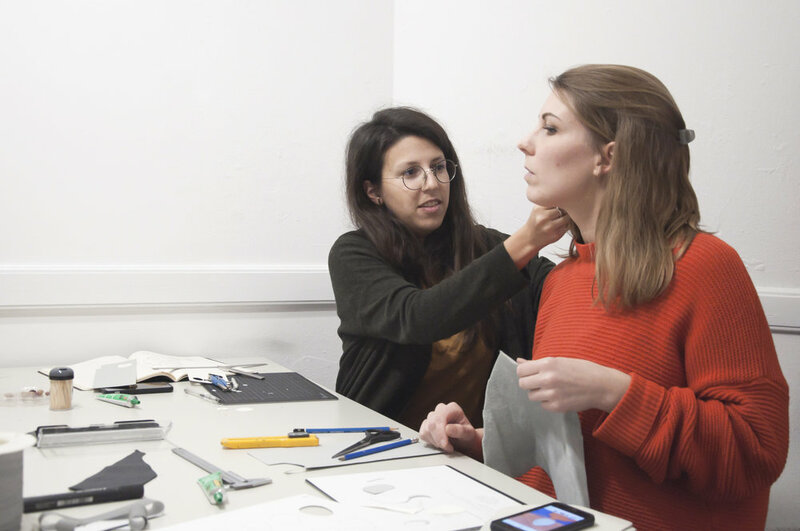 You will then make sketches of the accessory you would like, followed by a quick paper mock-up and then followed by the production by hand of your final piece. There will be plenty of examples to inspire you and I will help and advise you with all the steps. You will go home with one pair of earrings or one brooch or one necklace pendant. 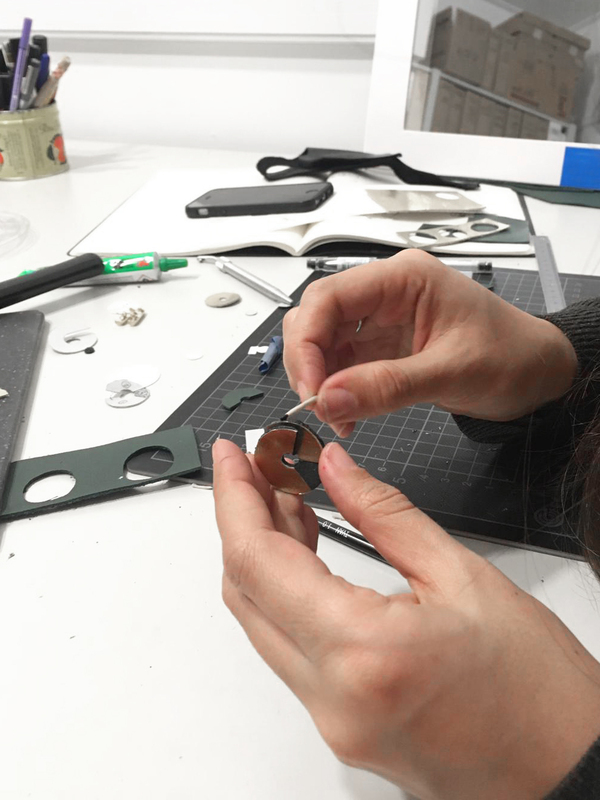 During the workshop, all materials and tools will be provided, including among others: many colours of leather, earring hooks/studs (gold plated silver, nickel free) and brooch pins (metal). The workshop is suited for all levels of skills: from beginners to crafting experts, all levels are welcome. Tea, coffee, refreshments: feel free to share your preference and I will do my best to accommodate! All needed tools, equipment and materials will be supplied during the workshop and are included in the price of the workshop. Cookies, fruits or nuts: let me know if you are on a special diet, like Vegan or Gluten Free. 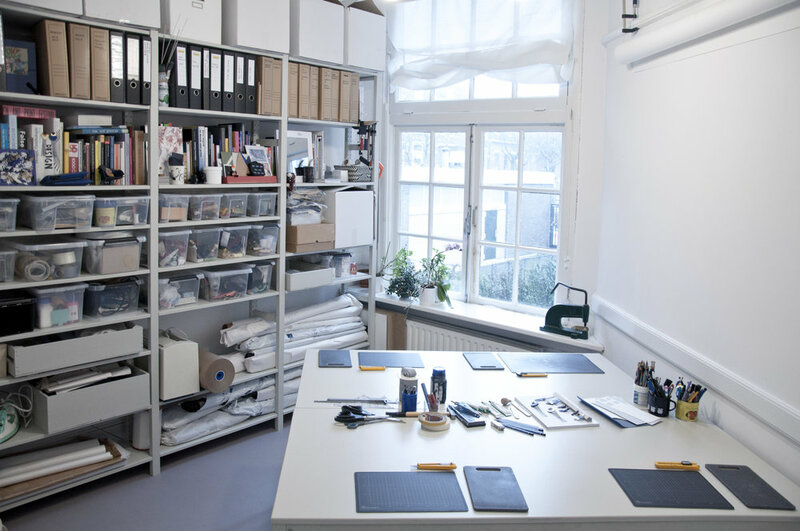 The workshop will be held at the cyclist's studio in Rotterdam, which is located in a building with many creative agencies and studios. The building is a beautiful historic monument and a former orphanage, it is located on one the very few remaining canals of Rotterdam in the truly charming old neighbourhood of Delfshaven, which is already worth a visit of its own. 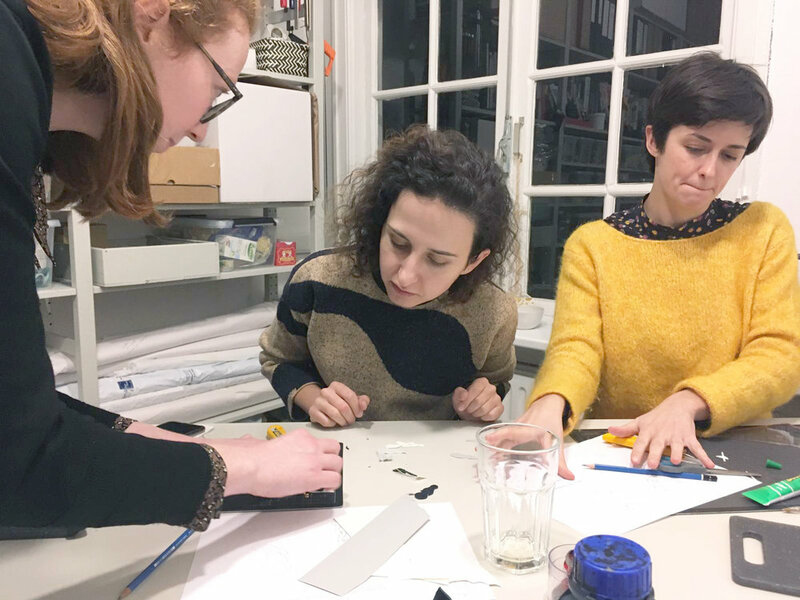 The workshop is held at our studio in Rotterdam, The Netherlands and hosts a maximum of 4 participants. The workshop can be booked as a private event and the total price of the workshop is 120€ (including VAT). This includes the participation of up to 4 persons, all needed materials/tools and drinks/snacks. The standard duration of the workshop is 4h30. Depending on your schedule, the duration of the workshop can be adapted (we can for instance make the workshop duration shorter to accommodate your planning). The workshop's activity is not really messy but it is still hands on, please do keep this in mind when choosing your outfit. The workshop is suited for all levels of skills. The studio can easily be reached with the metro or tram (7min walk from the metro/tram stop Delfshaven) and it is a 20min bike ride away from Rotterdam Central Station. We also have parking space available in the studio's courtyard. The workshop can be held in english, dutch or french. Feel free to contact me if you have any questions or requests, I will be happy to help. 1) If you would like to book the workshop as a private event for up to 4 participants, fill in the form below and click on “submit”. We will get back to you as soon as possible to find the perfect date and time for your workshop. The costs for the private event are 30€ per person (VAT included). 2) If you do not wish to book the workshop as a private event, you can also book individual tickets via Airbnb on the following link. Thank you, your request has been submitted! We will get back to you by email as soon as possible!